Content Objective: I will be able to create an argument to support a claim by presenting my persuasive speech to the class. ​Homework: Many expert's believe that fast food restaurants contribute to teen obesity. What is your view on fast food and teen obesity? Write a 5+ sentence argument persuading people to agree with your view. Do Now: Get your laptop. Open your essay in Google Classroom. Take 10 minutes to review your essay. Turn it in to Google Classroom. 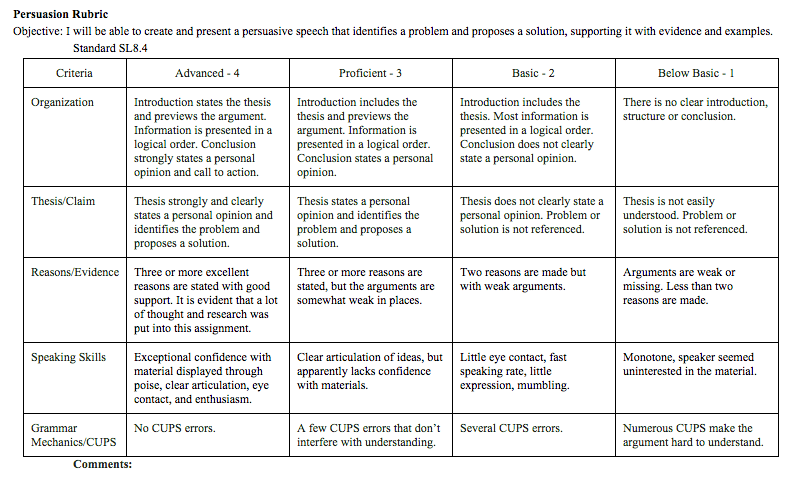 - How has this speech assignment helped you better understand how to create an argument? ​ - On a scale of 1-10, how hard do you feel you worked today?